If you had any doubts of the veracity of former IMF chief economist Simon Johnson’s depiction of the financial crisis as a “quiet coup,” a pre-Christmas release of FBI documents should put them to rest. While I linked to a discussion of the results of the Partnership for Civil Justice’s FOIA of FBI materials on Occupy Wall Street, I was remiss in not writing them up earlier. Both the Partnership for Civil Justice and Naomi Wolf at the Guardian (hat tip Scott A) provide good overviews. The PCJ also published the FBI documents it obtained. The FBI deemed OWS to be a terrorist organization and went into “guilty until proven innocent” mode. Many of the FBI descriptions of possible OWS actions or those of affiliated organizations like Adbusters consistently look to have taken the most inflammatory snippets and presented them out of context. Even seemingly peaceful rallies can spur violent activity or be met with resistance by security forces. Bystanders may be arrested or harmed by security forces using water cannons, tear gas or other measures to control crowds. As a result, many of the perceptions of threats were paranoid. The FBI’s search for Communists in woodpiles Occupiers in midsized and small cities is obvious ovekill. And mind you, this is the same FBI that is nowhere to be found in investigating crisis-related big bank fraud. An individual “leading” Occupy Tampa was tracked when he went to Gainesville. Anchorage, Alaska, Denver, Colorado, Birmingham, Alabama, Jackson, Mississippi, Memphis, Tennessee, and Green Bay, Wisconsin all had Occupy-related briefings and FBI activity. The rationale for this overkill was that OWS was a terrorist threat. That’s a striking contrast with the media depiction of the movement when it was in its encampment phase as a bunch of directionless hippies with no message. But the FBI response highlights how anything other than corporate or otherwise officially sanctioned assembly is no longer permitted in America. The main objection to OWS really isn’t violence, even though that serves as the excuse for the official crackdown. It was that it would be inconvenient and embarrassing to Important Organizations and People. Now I have to tell you as a resident of New York City, we are subject to inconvenient things on a regular basis. I’d have a lot less reason to take exception to the eviction of OWS if the officialdom was evenhanded about making the city efficient and keeping the streets clear by getting rid of (for starters) all parades, all street fairs, the marathon, and all Presidential visits (well maybe he can make a minimally invasive stop, say by going down the FDR to the UN and staying in those environs). Assange has suggested a partial solution: the widespread use of encryption. The problem with using encryption now is that it’s like waving a red flag in front of the NSA and asking them to take interest in you. But if a meaningful percentage of the population, say as many as 3%, were to start using it for most of their communications as part of a large-scale plan, it would throw a wrench into the system. The officialdom would be presented with an unduly large list of parties of interest, most of whom by design would be uninteresting from a threat/intelligence perspective. And if this sort of thing were to take place, anyone who thought they might be objects of interest for the wrong reasons, as in they were members of Occupy, could also take up encrypting their messages for fun and sport. The peculiar part of this overreaction is it says that banks and government officials see peaceful protests as a threat to their hold on power. It’s odd that they see their position as precarious, unless they have convinced themselves of their vulnerability as an excuse for clamping down even harder on the rest of us. Absolute total chaos. ES at lows of the days right now. Luckily, at least the debt ceiling is a firm deadline... Sometime in late March. Oh, and goodbye Boehner? By contrast, Barclays is paying $1.5 billion in fines among three regulators: the FSA, the CFTC, and Finma, a Swiss regulator. The Department of Justice’s Lanny Breuer called the fraud “epic” yet only two staffers are targeted for prosecution: the apparent main actor, trader Mark Hayes, and his colleague Roger Darin, who are charged with mail fraud, price fixing, and conspiracy. Yet the FSA’s notice says that 40 individuals at the bank were involved in Libor manipulation, including 4 senior managers, and another 70 individuals were aware of it. The FSA presents this review straight up when it’s hard to take it at face value. It’s hard to imagine that the legal department did not understand the conflicted role of Trader E and thus knew full well what sort of analysis he would gin up. Even though UBS implemented new procedures in 2008 and 2009, these appear to have been about as effective as corporate mission statements, due both to deficiencies in design and implementation. The directives were above all drafted to dampen down negative press (the Wall Street Journal had taken notice); managers who had been involved in the previous manipulation were involved in oversight; and the internal audit group did a mere “walk through” exercise. In the past this behavior was positive, indeed highly productive, as long as it was contained and channeled via tough-minded oversight, meaning top management who could properly supervise the business. The main mechanisms are management reporting systems, risk management, and personal understanding of and involvement in day-to-day operations, plus external checks, such as regulations and criminal penalties. For a host of reasons, the balance of power has shifted entirely toward the forces that encourage looting. And because the damage that results cannot clearly be pinned on the top brass (like [the head of AIG's Financial Products unit Joe] Cerullo, they have thin but plausible deniability), it is difficult to ascertain from the outside whether the executives merely unwittingly enabled this process or were active perpetrators. It turns out that even with extensive examinations, it’s hard to find smoking guns to pin bad activity on top level managers. Remember, the nitty gritty falls to lower-level (although often handsomely paid) professional who communicate with sufficient frequency that it’s possible to find e-mail footprints. And to the extent any of this ground was covered in meetings, PowerPoint only gives the high points; it’s far from a complete record. Senior managers tend to be recipients rather than generators of information, and much of what they convey is verbal: reactions when people come to their desk or office, comments on more formal presentation. And by the time Libor manipulation became an official concern, they’s be sure to be particularly circumspect in any written remarks. Felix suggests that UBS has taken the most radical action possible, by pretty much abandoning the fixed income business. Note this appears to have been the result of greatly higher capital requirements in Switzerland. 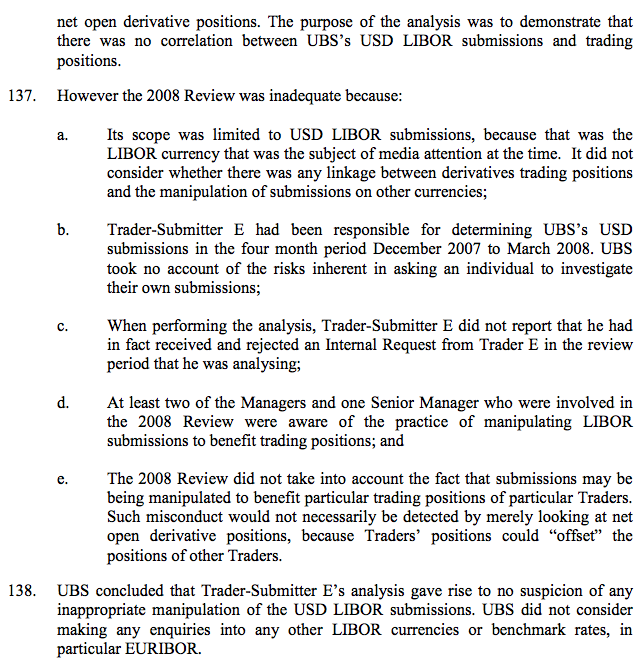 But the Libor scandal may have played a role, since the fixed income operations were the one business unit of four that were led by former UBS managers after the UBS-Swiss Bank merger (even though the UBS name survived, Swiss Bank was actually the dominant player in the deal). The near-closure of the fixed income operations has the former SBC units as the final survivors of that merger. Bear in mind that this is not the end of the financial toll for UBS. The regulatory orders and notices will facilitate private suits. But that is not at all the same as having the individuals who were ultimately responsible face meaningful consequences. What Felix depicts correctly as an aggressive measure is still on the wrong axis. So far, the top echelon of UBS is unaffected by this epic scandal. Until we see executives suffer (and fines are insufficient if they reamin wealthy), it’s a no-brainer that this type of behavior will continue, albeit in different businesses and new guises. There is now about 48 hours until the rubber hits the road. What happens in the next 2 days: in a somewhat surprising development earlier, the Republicans today managed to turn the tables on the president, and as reported this morning, proposed an alternative "Plan B", one which the president has already said he will not to accept as it extends the current Bush tax cuts on all those making $1 million or less (and thus not nearly punitive enough in the eyes of Obama's electorate). The reason for this strawman is that unless Obama settles on some compromise definition of 'wealthy' between his already adjusted definition which moved from $250,000 to $400,000 earlier, and the $1 million cutoff proposed by the republicans, republicans will take the Plan B proposal to the House on Thursday and pass it, only so it is immediately voted down by the Senate, but have the popular backstop of saying "they gave it their best" just as Ken Langone suggested to Rand Paul earlier today on CNBC. And as Reuters reported, it appears that the drop dead date for House majority leader Cantor is Thursday, at which point he will vote, and pass, Plan B. At that point the Fiscal Cliff debate for 2012 is as good as over, as the resulting animosity that develops in the subsequent days will guarantee no further compromises are achievable for the balance of the year. In other words, tomorrow is when all the horse trading will culminate: if there is no resolution by the end of day, the Thursday Plan B vote is all but assured, as is the resultant Risk Off phase, especially for all those who saw in today's moves yet another glimmer of a compromise when in reality it was all merely the latest and greatest big PR stunt. In the meantime, trigger happy algos will send stocks moving wildly in eiuther direction based on headlines over the next 24 hours, although the consensus is that following the massive overbought surge in stocks in the past month, that a fiscal deal is now largely priced in, and a sell the news event is likely to result following a firm agreement... assuming one comes of course. After important concessions in recent days from both President Barack Obama and House of Representatives Speaker John Boehner, Republicans moved to increase pressure on the Democrats by vowing to vote in the House on a "Plan B" back-up measure that would largely disregard the progress made so far. The Republican proposal was part of a political dance by both parties to try to spin the "fiscal cliff" narrative in their favor even as they edged closer together. The White House rejected the offer but remained confident of an agreement. "The president has demonstrated an obvious willingness to compromise and move more than halfway toward the Republicans," White House spokesman Jay Carney told reporters, adding that Obama is making a "good faith" effort to reach a compromise. House Republicans were still meeting to discuss the matter on Tuesday evening. "They've still got a long way to go, but you can't help but say that the odds are better today than they were on Friday that we'll get some sort of agreement," said Republican Representative Tom Cole. A second aim of Boehner’s Plan B strategy is clearly directed internally—at grousing House Republicans. He is telling members of his conference who are restive that he will cave more significantly on taxes now that it is as much on their shoulders as his--because they can cut bait on his negotiations or wait them out. He’s not going to take all the heat for any eventual deal they don’t like. A just as big problem is whether a schism will develop in the Democrat party, many of whom see no reason to budge on the $250,000 definition, especially in the aftermath of Obama's trouncing victory. Obama could face unrest from fellow Democrats. Liberals were likely to oppose a key compromise he has offered to permit shrinking cost-of-living increases for all but the most vulnerable beneficiaries of the Social Security retirement program. His proposal calls for using a different formula, known as "chained Consumer Price Index," to determine the regular cost-of-living increases, essentially reducing benefits. "I am committed to standing against any benefit cuts to programs Americans rely on, and tying Social Security benefits to chained CPI is a benefit cut," Democratic Representative Keith Ellison said in a statement. Obama also moved closer to Boehner on the proportion of a 10-year deficit reduction package that should come from increased revenue, as opposed to cuts in government spending. Obama is now willing to accept a revenue figure of $1.2 trillion, down from his previous $1.4 trillion proposal. Boehner's latest proposal calls for $1 trillion in new tax revenue from higher tax rates and the curbing of some tax deductions taken by high-income Americans. No matter the final resolution, it appears that the payroll tax cut holiday is over starting January 1, which as reported previously alone will have an rather adverse impact on Q1 GDP. In fact, with all carryovers, even assuming a compromise is reached in the next 48 hours, the hit to GDP in 2013 will be about 0.5%-1.5%. But at least the economists will have something to blame yet another economic miss on, for an economy whose quarterly scorecard is starting to be pockmarked with one-time charges, and "non-recurring" fees to the same extent as Alcoa. So keep a very close eye on tomorrow's news flow: the next 24 hours is when any hints of a final compromise will have to come. If there are none, bring a helmet. Dominant Social Theme: We don't know how things got this far but we warned you. Free-Market Analysis: Here's another example of how elite dominant social themes work. Often, these fear-based promotions are reinforced by reality. In other words, if you want to explain to people that food-scarcity demands United Nations involvement in food production, you first actually have to create the scarcity. The problem with some elite promotions – designed to frighten people into giving up wealth and power to specially prepared globalist solutions – is that they are hard to translate into action. Global warming is a good example of such a meme. There likely isn't any global warming, or not comprehensively. Thus, the elites that want to promote the theme of global warming (now suddenly called climate change) are faced with the overwhelming challenge of creating something out of nothing. This leads to bad science and cognitive dissonance where facts have to be made up to fit the plot. And in this era of Internet Information, making up statistics to support a pre-fabricated promotion is a risky business. The global warming theme blew up several years ago when emails were posted online that revealed what we have suggested ... that by planting only a handful of individuals at strategic choke points affecting world affairs, the top elites can effectively control the larger conversation and influence events as they choose. Unlike such ambitious promotions as global warming, economic affairs are more easily influenced, as the current economy is not just man-made but created in an unstable way. The power elite have created a seamless network of something like 150 central banks around the world that pump out fiat money in excess of what economies need. When times are going well, central banks print to fuel the boom. When times are bad, central banks print to ameliorate the bust. But central banks almost always print. By printing, central banks create terrible bubbles. And this is what has happened yet again. Stocks markets have inflated around the world and the US stock market has expanded a great deal as a result of what is euphemistically known as "easing." Easing is just more money printing and now the central bank supervising authority, the BIS, is calling attention to the bubble that its own facilities have created. The Fed announced on September 13 that it will buy $40 billion of mortgage-backed securities per month in an attempt to incubate a housing market showing flickering signs of recovery. Chairman Bernanke stipulated that the purchases be open-ended, meaning they will continue until the Fed is satisfied that economic conditions, primarily in unemployment, improve. Similar measures have been used recently by the European Central Bank, the Bank of Japan and the Bank of England. The BIS warned that corporate bonds were near their pre-crisis levels but with default rates higher than they were in 2007. "Numerous bond investors said that they felt less well compensated for risk than in the past, but that they had little alternative with rates on many bank deposits close to zero and the supply of other low-risk investments in decline," it said. The Bank for International Settlements - noted to have predicted the financial crash back in 2006 - said that investment grade, sub-investment grade and emerging market bonds had fallen to their lowest levels since 2008. And mortgage bonds had reached their lowest level ever. The International Monetary Fund trimmed its 2012 and 2013 global growth forecasts back in October. 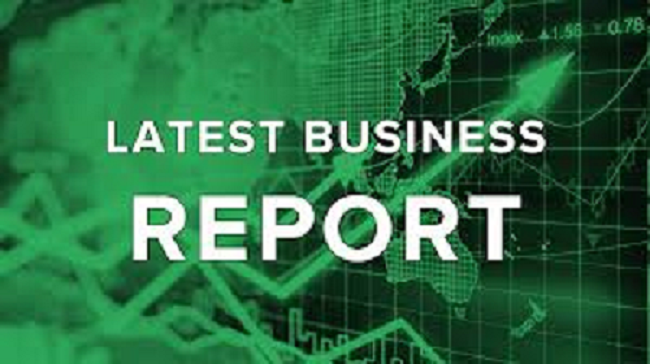 It now expects the world economy to grow 3.3 percent this year, down from the 3.5 percent growth it predicted in July. And projected growth for next year fell to 3.6 percent, down from 3.9 percent. Despite this change in forecast the BIS say it hasn't caused a risk-on environment and the price of risky assets has risen in the three months to early December. The BIS's cynical rhetoric, from our point of view, in issuing such statements is probably a precursor to more economic mayhem. This is one of the benefits of following the development of elite dominant social themes. You can anticipate the inevitably man-made disasters. We also call these kinds of developments "directed history." By creating stock and bond bubbles – demand for paper instruments with no identifiable, specific, intrinsic value – the top elites are constantly in a position to trigger recessions and depressions over time, virtually on demand. As a result of central bank money printing, gold and silver have maintained value amidst a blizzard of paper money devaluations. These events have also pushed up demand for paper products inevitably and dramatically. Both stock and bond markets are being priced beyond what the risk/reward calculation warrants, according to the BIS. Hey, thanks for telling us, guys. Last we knew, the BIS sat at the top of the central banking hierarchy. Couldn't it have done something sooner? Why is the BIS issuing such a warning now? The tiresome thing about these warnings is that they merely confirm strategies that have been in place for years. Easing has been aggressively pursued because Ben Bernanke is theoretically in favor of it. Thus, easing has spread around the world. This is more directed history, in our view. We had lots of questions long ago about the Great Depression and how it took place. But we've watched the current manipulations and it's increasingly evident to us that recent economic chaos is planned. "They" want it that way. If there are violent crashes in the stock and bond markets, we'll have to live through another spate of breast-beating. And then, of course, we believe the media will rev up what is being prepared in Washington, DC, a special neo-Pecora hearing to do to the capital-raising mechanism of the US what the 1930s regulatory disaster failed to accomplish – sink the remaining financial markets by placing them firmly under the thumb of bureaucrats and technocrats. Conclusion: It will seem eminently logical ... cause and effect. But it will not be. It can be argued that it will be the further takedown of the world economy by a ruthless elite that is pursuing world government and control via any means necessary. Yves here. One of the things that has too often gone missing in the many discussions of why massive scale money launderer HSBC was not prosecuted is the basis of the “doing that would be destabilizing” excuse. When a company is indicted (mind you, indicted, not convicted), pretty much all Federal and many (most?) state agencies are required to stop doing business with it, immediately. The effect of the loss of so much business, particularly for a large financial firm, is seen as a death knell. Of course, that’s the point. The threat of indictment of the company provides tremendous leverage to go after individuals. The Wall Street Journal’s editorial page went on a rampage against Eliot Spitzer when he used that cudgel to force the resignation of CEO Hank Greenberg. Now of course there is a different way to use this power. A prosecutor could just as well inform a board that it is ready to indict the company unless it secures the full cooperation of executives in order to secure prosecutions of all individuals involved in a meaningful fashion, top to bottom. That includes waving the company’s attorney-client privilege on this matter. Sending executives to prison has far more deterrent value that bringing a company down, since many will argue that employees who had nothing to do with the criminal activity would also be harmed. By Ian Fraser, a financial journalist who blogs at his web site and at qfinance. His Twitter is @ian_fraser. The agreements put an end to uncertainty over the banks’ ability to operate within America, a key link in their global networks; their share prices both rose on the day the fines were announced. And the penalties are, in effect, levied on shareholders; not one corporate employee faces charges (although HSBC, at least, has clawed back payments to those responsible). Indeed, at a news conference this week Lanny Breuer, head of the Justice Department’s criminal division, suggested that an outright prosecution of HSBC was considered and rejected because of how damaging the impact could be on the bank’s viability, and thus on jobs and the American economy. Has a handful of banks become not too big to fail, but too big to jail? Andrew Bailey, chief executive-designate of the Prudential Regulatory Authority, seems to believe they have. Bailey told the Telegraph’s Harry Wilson that some banks had grown too large to prosecute. It would be a very destabilising issue. It’s another version of too important to fail. Because of the confidence issue with banks, a major criminal indictment, which we haven’t seen and I’m not saying we are going to see… this is not an ordinary criminal indictment. So let’s get this straight. In Bailey’s universe protecting a bit of money is more important than the rule of law? Large banks and their senior executives must have an immunity from criminal prosecution — i.e. carte blanche to do whatever they want, including plundering the real economies, forming price-fixing cartels, rigging rates and markets, ransacking communities and funding terrorism, irrespective of the harm caused to others — for fear of upsetting financial stability? I am afraid this won’t wash. Senator Carl Levin, chairman of the U.S. Senate Permanent Subcommittee on Investigations, a congressional watchdog panel, observed that “the culture at HSBC was pervasively polluted for a long time.” Now we can be certain it will remain so. Criminal activity has been legitimized. In the world of banking, crime pays, big-time. Anyone with half a brain must realise that such a stance is unsustainable in the long term. If it were allowed to persist, there’s zero chance of trust being rebuilt in the financial system. Without wishing to sound alarmist it could lead to anarchy and even civil war. After all, why should anyone else bother to obey the law if banks don’t have to? What is the point of having laws? What is the point of having regulators? The state would lose all legitimacy. Had pleasure of appearing on Eliot Spitzer’s Viewpoint last night to talk about the hideous Eric Holder/Lanny Breuer HSBC settlement, in which the government elected not to push criminal prosecutions against bank officers who admitted to laundering billions of dollars in drug money. Spitzer was the first guy I thought of when I saw the softball settlement, so it was cool to hear the prosecutorial take on the deal. When I came home after the show, my wife laughed. “It’s like you guys were fighting over who was more pissed off,” she said. Historically, small businesses have been the primary engine of new job creation in the United States. If the economy was getting healthy, we would expect to see the number of jobs at new businesses rise. Instead, we are witnessing just the opposite. We are told that the economy is supposed to be "recovering", but the number of "startup jobs" at new businesses has fallen for five years in a row. According to an analysis of U.S. Department of Labor data performed by economist Tim Kane, there were almost 12 startup jobs per 1000 Americans back in the year 2006. By 2011, that figure had fallen to less than 8 startup jobs per 1000 Americans. According to Kane, the number of jobs in the United States at businesses that are less than one year old has fallen from 4.1 million in 1994 to 2.5 million in 2010. Overall, the number of "new entrepreneurs and business owners" has fallen by more than 50 percent as a percentage of the population since 1977. The United States was once known as "the land of opportunity", but now that is fundamentally changing. At this point we truly do have a "crisis of entrepreneurship" in this country, and that is a huge reason why America is in decline. We are witnessing the slow death of the small business in America, and that is incredibly bad news for all of us. Kane raises some very good points in his analysis. Without a doubt, small businesses in the United States are being taxed into oblivion. If you doubt this, just read this article. And the regulatory environment for small businesses is more suffocating than it has ever been before. Unfortunately, our politicians never seem to learn that lesson. During his first term, Obama piled on mountains of new regulations, and now that he has won a second term he is preparing to unleash another massive wave of new regulations. But many times the worst offenders are politicians on the state and local level. There are some areas of the country (such as California) that have created absolutely nightmarish conditions for small businesses. California had the worst "small business failure rate" in the country in 2010. It was 69 percent higher than the national average. And in 2011, the state of California ranked 50th out of all 50 states in new business creation. Yet the politicians in California just continue to pile on even more regulations and even more taxes. -As a share of the population, the percentage of "new entrepreneurs and business owners" dropped by a staggering 53 percent between 1977 and 2010. -The average pay for self-employed Americans declined by $3,721 between 2006 and 2010. Well, first of all, the tax burden and the regulatory burden on small businesses both need to be greatly reduced. Secondly, the balance of power in our nation needs to be dramatically shifted. Conservatives run around talking about the need to reduce the power of government and liberals run around talking about the need to reduce the power of corporations, and actually both of them are right. Our founding fathers intended to establish a Republic where power would never be concentrated in the hands of just a few. That is why they tried to strictly limit the power of the federal government in the U.S. Constitution, and that is why they greatly restricted the size and scope of corporations in early America. 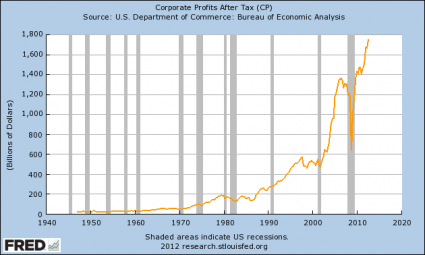 For much more on this, please see this article: "Corporatism Is Not Capitalism: 7 Things About The Monolithic Predator Corporations That Dominate Our Economy That Every American Should Know". Our founding fathers wanted to empower individual citizens and small businesses. They never intended for us to have a system where big government and big corporations dominate everything and crush the "little guy" at every opportunity. That is why it is imperative that we change "the rules of the game" so that the balance of power is shifted back in the direction of individual citizens and small businesses. We desperately need to turn back to the principles that this nation was founded upon. In the 1,420 days since he took the oath of office, the federal government has daily hired on average 101 new employees. Every day. Seven days a week. All 202 weeks. That makes 143,000 more federal workers than when Obama talked forever on that cold day in January of 2009. And if nothing is done, the monolithic predator corporations that dominate our economy will just get even larger and even more powerful. Meanwhile, hundreds of thousands more small businesses will close up shop all over the country. Unfortunately, most Americans seem totally apathetic about these issues. They seem content to wear "meggings", watch "Honey Boo Boo" on television and let our government and corporate overlords run everything. Most of them have even been brainwashed into believing that this is the American way of doing things. Well, this nation will probably continue to keep doing the same things that it has been doing, and it will continue to get the same results. The death of small business in America is happening right in front of our eyes, and everybody can see it happening, but very few people are doing anything to stop it. Dominant Social Theme: The crooks are caught. Free-Market Analysis: The bottom line here is that the crooks are NOT caught. Bear in mind as a libertarian paper, we don't buy into any of these pseudo crimes. Money laundering, drug buying, regulatory transgressions ... none of these have anything to do with natural law. They are all made-up crimes. Nonetheless, they show us the larger sickness of modern-day Western society. Average citizens are imprisoned for decades for the "crimes" that those who work in corporations perform without serious personal consequences. Were we to observe this behavior in ancient times we would be well aware of just how immoral it really is. If we studied ancient examples of large organizations, favored by the emperor, that avoided criminal consequences, we would easily see the favoritism and unfairness. If we read that such organizations were exempt from policing because their very size made them a threat to the social order, we would likely scoff. We would surmise that such an attitude was merely a justification for inaction. Some prosecutors at the Justice Department's criminal division and the Manhattan district attorney's office wanted the bank to plead guilty to violations of the federal Bank Secrecy Act, according to the officials with direct knowledge of the matter, who spoke on the condition of anonymity. The law requires financial institutions to report any cash transaction of $10,000 or more and to bring any dubious activity to the attention of regulators. Jonathan Bachman/ReutersIn 2010, Lanny A. Breuer, left, head of the Justice Department's criminal division, created a task force on money laundering. Given the extent of the evidence against HSBC, some prosecutors saw the charge as a healthy compromise between a settlement and a harsher money-laundering indictment. While the charge would most likely tarnish the bank's reputation, some officials argued that it would not set off a series of devastating consequences. ... After months of discussions, prosecutors decided against a criminal indictment, but only after securing record penalties and wide-ranging sanctions. The HSBC deal includes a deferred prosecution agreement with the Manhattan district attorney's office and the Justice Department. The deferred prosecution agreement, a notch below a criminal indictment, requires the bank to forfeit more than $1.2 billion and pay about $700 million in fines, according to the officials briefed on the matter. The case, officials say, will claim violations of the Bank Secrecy Act and Trading with the Enemy Act. The charges sound grave, indeed. Without granting any of them credibility (what "enemy" does the US have, after all? ), we can certainly say in good faith that an individual facing the same laundry list of transgressions would likely have ended up incarcerated. As far as destabilizing the system goes, we're all for it. The system SHOULD be destabilized. The too-big-to-fail banks should be allowed to fail. Strictly from a judicial standpoint, the idea of not prosecuting certain people because they work for large entities is a terrifically corrosive one. There is basically a formal two-track system of justice in the US now, and that simply cannot be good for civil comity. The CIA is said to make a lot of money via drug dealing. This is probably one of the REAL reasons that such cases are not prosecuted. Any way you examine it, most of these white-collar laws were only recently enacted and ought to be done away with. And then the too-big-to-fail banks ought to be un-propped. Let them tumble at will. Conclusion: If the system itself falls down, we'll build a better one. It seems the Federal Government has finally woken up and is making a show of being serious about one type of bank misbehavior, that of money laundering. The striking element about the agreement with various Federal agencies and the Department of Justice is that nearly $1.3 billion of the $1.9 billion fine comes in the form of a deferred prosecution agreement. This is the criminal analogy to injunctive relief, in which a miscreant is granted amnesty in return for committing to change its behavior in specific ways. The charges are then dismissed if the subject follows through. On paper, this is a much tougher regime than the frequently violated injunctive relief, since the charges remain over the head of the miscreant until they are dismissed. The open question in these cases is whether the monitoring of compliance is serious or pro-forma, and that’s impossible to know from the outside. The grounds for the criminal part appear to be money laundering for Iran. So why did HSBC get the book thrown at them when Standard Chartered was laundering the Iranian government’s biggest source of foreign exchange, its oil revenues, on behalf of the central bank, and Treasury and other Federal regulators, was a mere $330 million when New York State got $340 million? Admittedly, there is one difference: here, US regulators had already told the bank to shape up and it failed to do so. U.S. authorities are preparing to announce as early as Tuesday a record $1.9 billion settlement with HSBC Holdings HSBA.LN -0.37% PLC to settle allegations the bank for years ignored red flags about money laundering…. How can the mainstream media claim that the U.S. economy is "improving" when it is painfully obvious to anyone with a brain that the middle class is being absolutely eviscerated? According to numbers that were just released, the number of Americans on food stamps rose by more than 600,000 in a single month to an all-time record high of 47.7 million. Youth unemployment in the U.S. is at a post-World War II high and large companies have announced the elimination of more than 100,000 jobs since Barack Obama won the election. Consumer debt just hit a new record high and the federal government is accumulating debt at a much faster pace than it was at this time last year. So where is the evidence that the economy is getting better? The mainstream media says that the decline of the unemployment rate to "7.7 percent" is evidence that things are improving, but I showed how fraudulent that number is yesterday. The percentage of working age Americans with a job today is exactly where it was back in September 2009 in the midst of the last major economic crisis. The mainstream media is desperate for any shred of evidence that it can use to make people feel good and show that the Obama administration has our economy on the right track, and so they jump on any number that even looks remotely promising and they ignore mountains of evidence to the contrary. They don't seem to care that poverty is absolutely exploding and that the number of Americans on food stamps has risen by nearly 50 percent while Obama has been in the White House. They don't seem to care that the U.S. share of global GDP has fallen from 31.8 percent in 2001 to 21.6 percent in 2011. They don't seem to care that more good paying jobs are being shipped overseas with each passing day. They don't seem to care that formerly great U.S. cities that were once the envy of the entire globe are now crime-infested hellholes. All they seem to care about is putting out news that makes people feel warm and fuzzy and making sure that Obama looks good. 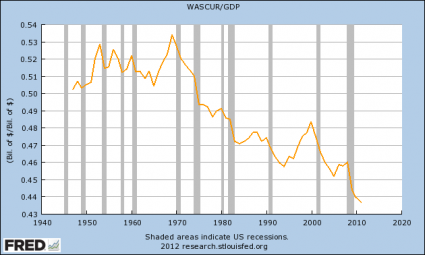 Unfortunately, the truth is that the U.S. economy is steadily getting worse, and 2013 is not looking very promising at all right now. Hopefully at some point the mainstream media will take a break from coverage of the royal pregnancy and the latest celebrity scandals to report on the real problems that we are facing right now. #1 According to numbers that were just released, the number of Americans on food stamps has risen to a new all-time record of 47.71 million. That is a huge increase of more than 600,000 over the previous reading of 47.10 million. After about a year of slow growth, it looks like the number of Americans on food stamps is starting to skyrocket once again. Back in the 1970s, about one out of every 50 Americans was on food stamps. Today, about one out of every 6.5 Americans is on food stamps. #2 Youth unemployment in the United States is now at the highest level that we have seen since World War II. #3 According to Gallup, unemployment in the United States shot up very sharply during the month of November. #4 It looks like the unemployment numbers are likely to get even worse. Since the election, dozens of large companies have announced major layoffs. Overall, large companies have announced the elimination of more than 100,000 jobs since November 6th. #5 According to the Wall Street Journal, of the 40 biggest publicly traded corporate spenders, half of them plan to reduce capital expenditures over the coming months. #6 Small business owners all over America are declaring that Obamacare is going to force them to start replacing full-time workers with part-time workers during 2013. #7 One recent survey discovered that 40 percent of all Americans have $500 or less in savings. #8 A different recent survey found that 28 percent of all Americans do not have a single penny saved for emergencies. #9 62 percent of middle class Americans say that they have had to reduce household spending over the past year. #10 Many Americans are trying to make ends meet for their families by going into more debt. Consumer borrowing hit another brand new record high in October. It looks like the American people have not learned from their past mistakes and have decided to roll up consumer debt at a faster pace than ever before. #12 Wall Street bankers are expecting "the worst bonus season" since 2008. Not a lot of people are going to shed tears over this one, but this is a sign that there is trouble in the financial world. #13 Food banks all over America are reporting that more needy families than ever before are showing up to get food. #14 As I wrote about yesterday, the federal government has run a deficit of $292 billion dollars during the first two months of fiscal 2013. That figure is $57 billion higher than it was during the same period last year. Government debt continues to soar wildly out of control and at some point all of that debt is absolutely going to crush us. #15 I have written previously about how the once great city of Detroit has become a symbol of the downfall of the U.S. economy. Well, now the state of Michigan is laying the groundwork for a "managed bankruptcy" of Detroit. Sadly, many other large U.S. cities will likely follow suit over the next couple of years. We should truly mourn for what is happening to Detroit. At one time, it was one of the most beautiful cities on earth. But now it is on the cutting edge of America's economic decline. You can see some amazing before and after pictures of an abandoned Detroit school right here. Sadly, what is happening to Detroit will soon be happening to the rest of the country. In the once stable neighborhood of Kordelio, the unemployed and drug users gather in the parks, scaring away mothers and children, and crimes like chain snatching are on the rise. Many long-time residents have left, moving abroad or to their families’ villages, leaving behind empty houses, said Evangelia Rombou, 58, who has lived in Kordelio for 22 years. But it is not just Greece that is grappling with these kinds of issues. Now even countries that had been thought to be "stable" are experiencing significant problems. For example, a massive crime wave has broken out in France. The crime wave in France is being blamed on "austerity", but the government of France still spends far more than it brings in. So how bad would things get in France if the French government actually did go to a balanced budget? And how bad would things get in the United States if the federal government was not stealing more than 100 million dollars an hour from our children and our grandchildren? Columbus Police sprayed Mace on several people in a crowd that had gathered to sign up for a list to get subsidized housing at a northwest Columbus apartment complex. Police said the crowd started to gather Friday night for the Saturday morning event at The Heritage apartment complex on Gatewood Road near Sunbury Road in northeast Columbus. Authorities said that its highest number, the crowd reached 2,000 people. Our entire economy is a giant mirage. Our prosperity has been purchased by stealing from the future. A few people have been warning that we have completely destroyed our future in the process, but both major political parties just continue to do it and the mainstream media just continues to cheer them on. At some point this con game will end and this economic mirage will disappear. When that happens, millions of people all over this country are going to become very angry and very desperate. I hope that you have a plan for what you will do when that happens. A paper on the profitability of high frequency traders has been attracting a fair amount of media attention lately. Among the authors is Andrei Kirilenko of the CFTC, whose earlier study of the flash crash used similar data and methods to illuminate the ecology of trading strategies in the S&P 500 E-mini futures market. While the earlier work examined transaction level data for four days in May 2010, the present study looks at the entire month of August 2010. Some of the new findings are startling, but need to be interpreted with greater care than is taken in the paper. For each day there are three categories a potential trader must satisfy to be considered a HFT: (1) Trade more than 10,000 contracts; (2) have an end-of-day inventory position of no more than 2% of the total contracts the firm traded that day; (3) have a maximum variation in inventory scaled by total contracts traded of less than 15%. A firm must meet all three criteria on a given day to be considered engaging in HFT for that day. Furthermore, to be labeled an HFT firm for the purposes of this study, a firm must be labeled as engaging in HFT activity in at least 50% of the days it trades and must trade at least 50% of possible trading days. Of more than 30,000 accounts in the data, only 31 fit this description. But these firms dominate the market, accounting for 47% of total trading volume and appearing on one or both sides of almost 75% of traded contracts. And they do this with minimal directional exposure: average intraday inventory amounts to just 2% of trading volume, and the overnight inventory of the median HFT firm is precisely zero. To be considered an Aggressive HFT, a firm must… initiate at least 40% of the trades it enters into, and must do so for at least 50% of the trading days in which it is active. To be considered a Passive HFT a firm must initiate fewer than 20% of the trades it enters into, and must do so for at least 50% of the trading days during which it is active. Those HFTs that meet neither… definition are labeled as Mixed HFTs. There are 10 Aggressive, 11 Mixed, and 10 Passive HFTs. HFTs earn above-average gross rates of return for the amount of risk they take. This is true overall and for each type… Overall, the average annualized Sharpe ratio for an HFT is 9.2. Among the subcategories, Aggressive HFTs (8.46) exhibit the lowest risk-return tradeoff, while Passive HFTs do slightly better (8.56) and Mixed HFTs achieve the best performance (10.46)… The distribution is wide, with an inter-quartile range of 2.23 to 13.89 for all HFTs. Nonetheless, even the low end of HFT risk-adjusted performance is seven times higher than the Sharpe ratio of the S&P 500 (0.31). These are interesting findings, but there is a serious problem with this interpretation of risk-adjusted performance. The authors are observing only a partial portfolio for each firm, and cannot therefore determine the firm’s overall risk exposure. It is extremely likely that these firms are trading simultaneously in many markets, in which case their exposure to risk in one market may be amplified or offset by their exposures elsewhere. The Sharpe ratio is meaningful only when applied to a firm’s entire portfolio, not to any of its individual components. For instance, it is possible to construct a low risk portfolio with a high Sharpe ratio that is composed of several high risk components, each of which has a low Sharpe ratio. To take an extreme example, if aggressive firms are attempting to exploit arbitrage opportunities between the futures price and the spot price of a fund that tracks the index, then the authors would have significantly overestimated the firm’s risk exposure by looking only at its position in the futures market. Over short intervals, such a strategy would result in losses in one market, offset and exceeded by gains in another. Within each market the firm would appear to have significant risk exposure, even while its aggregate exposure was minimal. Over longer periods, net gains will be more evenly distributed across markets, so the profitability of the strategy can be revealed by looking at just one market. But doing so would provide a very misleading picture of the firms risk exposure, since day-to-day variations in profitability within a single market can be substantial. The problem is compounded by the fact that there are likely to by systematic differences across firms in the degree to which they are trading in other markets. I suspect that the most aggressive firms are in fact trading across multiple markets in a manner that lowers rather than amplifies their exposure in the market under study. Under such circumstances, the claim that aggressive firms “exhibit the lowest risk-return tradeoff” is without firm foundation. From whom do these profits come? In addition to HFTs, we divide the remaining universe of traders in the E-mini market into four categories of traders: Fundamental traders (likely institutional), Non-HFT Market Makers, Small traders (likely retail), and Opportunistic traders… HFTs earn most of their profits from Opportunistic traders, but also earn profits from Fundamental traders, Small traders, and Non-HFT Market Makers. Small traders in particular suffer the highest loss to HFTs on a per contract basis. Within the class of high frequency traders is another hierarchy: mixed firms lose to aggressive ones, and passive firms lose to both of the other types. The operational costs incurred by such firms include payments for data feeds, computer systems, co-located servers, exchange fees, and highly specialized personnel. Most of these costs do not scale up in proportion to trading volume. Since the least active firms must have positive net profitability in order to survive, the net returns of the most aggressive traders must therefore be substantial. It is the iron law of the markets, the undefiable rules of arithmetic: Gross return in the market, less the costs of financial intermediation, equals the net return actually delivered to market participants. The costs to other market participants of high frequency trading correspond roughly to the gross profitability of this small set of firms. What about the benefits? The two most commonly cited are price discovery and liquidity provision. It appears that the net effect on liquidity of the most aggressive traders is negative even under routine market conditions. Furthermore, even normally passive firms can become liquidity takers under stressed conditions when liquidity is most needed but in vanishing supply. As far as price discovery is concerned, high frequency trading is based on a strategy of information extraction from market data. This can speed up the response to changes in fundamental information, and maintain price consistency across related assets. But the heavy lifting as far as price discovery is concerned is done by those who feed information to the market about the earnings potential of publicly traded companies. This kind of research cannot (yet) be done algorithmically. Our current overblown financial sector is largely built on people hunting, scrounging, doing whatever they possibly can, to obtain any scrap of useful information — useful, that is for anticipating a price movement that can be traded on. But the net value to society from all the resources expended on that feverish, obsessive, compulsive, all-consuming search for information is close to zero (not exactly zero, but close to zero), because the gains from obtaining slightly better information are mainly obtained at some other trader’s expense. There is a net gain to society from faster adjustment of prices to their equilibrium levels, and there is a gain from the increased market liquidity resulting from increased trading generated by the acquisition of new information. But those gains are second-order compared to gains that merely reflect someone else’s losses. That’s why there is clearly overinvestment — perhaps massive overinvestment — in the mad quest for information. To this I would add the following: too great a proliferation of information extracting strategies is not only wasteful in the aggregate, it can also result in market instability. Any change in incentives that substantially lengthens holding periods and shifts the composition of trading strategies towards those that transmit rather than extract information could therefore be both stabilizing and growth enhancing. Rising Taxes Part of Elite Global Strategy? Dominant Social Theme: Taxes must be paid in ever-higher amounts. Free-Market Analysis: Taxes are going up around the world and it's time to offer the possibility that it is deliberate. Of course it is deliberate in terms of individual countries. Our point is that the tax increases are seemingly being orchestrated as part of a larger policy aimed at reinforcing world government. The powers-that-be that control central banks and have put in place a world government infrastructure are engaged in a series of moves to bring us closer to the goal of global governance. Our perception that taxes are being deliberately raised the world over was buttressed lately by a number of articles commenting on this phenomenon. Governments around the world are becoming more and more hostile to the 'makers' as we move into 2013. These days, if you are earning more than $1 million per year, finding any kind of tax shelter is becoming harder to do, especially if you are trying to find a tax haven overseas. In addition, you won't find any breaks being overlooked, especially since the IRS is heavily scrutinizing earnings of all shapes and sizes ...if you've made it, then they want to see it. "Taxes on earnings, investment income, sales and a few other things have gone up already in many countries, and further increases are possible, including a huge one in the United States. "Another source of unease and doubt for taxpayers is a trend toward increases of other sorts: in scrutiny by revenue authorities, reporting requirements for individuals and businesses, and legislation to close tax code loopholes.
" 'It's perhaps the most foolish set of tax policies under discussion in all of Europe,' said J.D. Foster, a senior fellow at the Heritage Foundation. 'You just have to laugh and ask whether he was elected for the sole purpose of destroying the French Republic. Everyone says they want a growth agenda, then everything they do harms growth.' "
The answer to Mr. Foster's rhetorical question is "yes," the elites trying to create global government ARE likely trying to destroy France, at least in its current incarnation. Presumably, the chaos now being inflicted on the world will be ameliorated when the powers-that-be step forward to offer the bleeding, starving peoples of the world the ability to be part of a global government that will do away with the chaos of nation-states. A chaos that has been developed and inflicted by the same elites behind world government! We see this as a definite possibility. After World War I, the League of Nations was developed. After World War II came the United Nations, International Monetary Fund, World Bank, etc. After chaos ... order. We are not yet in the "chaos" phase but we are getting there. Unfortunately, as the Telegraph article excerpted at the beginning of this analysis points out, people are not necessarily questioning the idea of raising taxes. In some cases, people are roused to indignation that others, especially large corporations, are not paying "their fair share." Of course, there is no "fair share." And while we are not advocating tax evasion of any sort, we are well aware that the constant drumroll regarding sovereign debt and the difficulty of Western finances is providing justification for higher taxes. So the news that George Osborne is unleashing HM Revenue & Customs to hunt down the evaders and avoiders will bring some satisfaction to the majority who pay what is owed (mainly because it is taken from source and they have no choice). But do we seriously believe that Google, Amazon, Starbucks and the other multinationals hounded by anti-capitalist campaigners such as UK Uncut are the real targets for this renewed onslaught? With their corporate tax departments and battalions of accountants, the chances of getting them to cough up when they are not legally required to is remote. Of course, it is in the public interest that HMRC pursues tax that is lawfully due; but it must use its substantial powers appropriately, otherwise trust in the tax system will decline. At the time of the 2005 merger, concerns were voiced that the "Big Brother" approach of Customs and Excise would prevail; the Chancellor's announcement yesterday seems to confirm its ascendancy. Most of us will have little to do with HMRC beyond receiving a new PAYE tax coding every April. But for small businesses and the self-employed, it is a force to be reckoned with. It is these people, not the Googles and Amazons, who will get it in the neck as a desperate Treasury makes a rapacious grab for every penny due in tax. There is, needless to say, an alternative: the Government could try spending less. Peasants in the Middle Ages were taxed or tithed at around 30 percent. Today's miserable middle class is subject to far higher confiscations. And the taxes are applied all the way through the manufacturing chain, not just at the end of it. In Britain, anyway, most of the indignation seems to be saved for those the government identifies as not paying all that they "owe." This is a sad evolution and shows the strength of power elite memes. The promotion of scarcity themes and other sorts of propaganda continues to work broadly. The current tax system is not reasonable on numerous levels. Nation-states, for instance, can print all the money they want via monopoly central banking. Conclusion: We think we know.